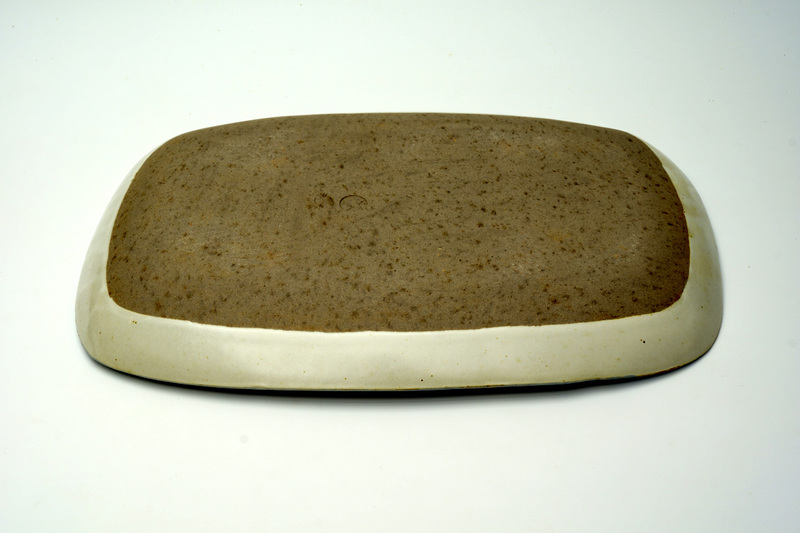 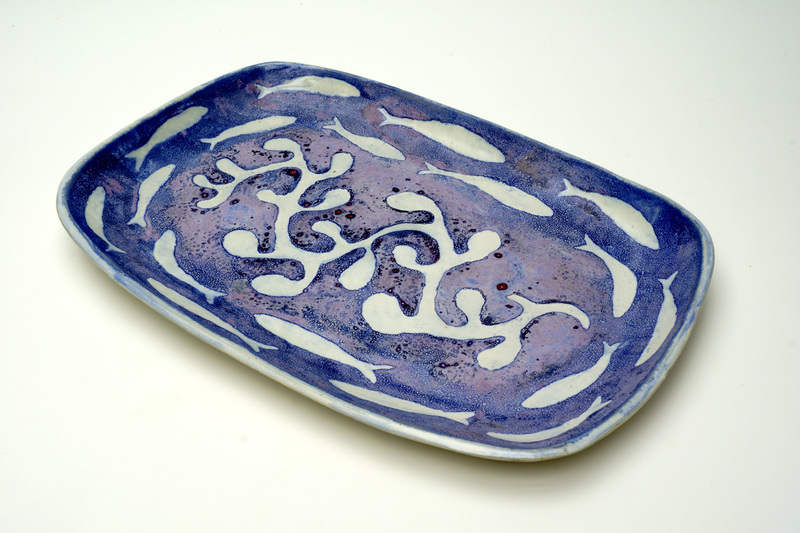 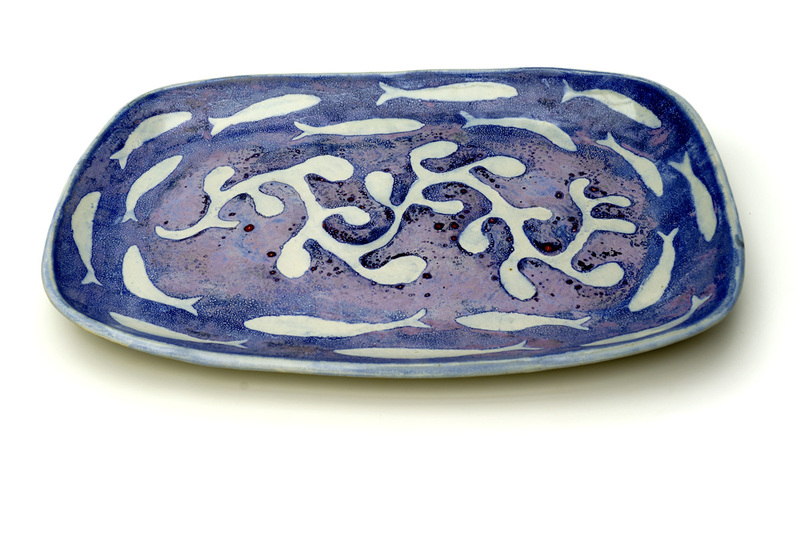 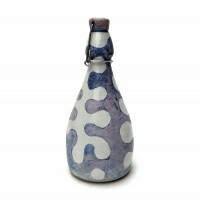 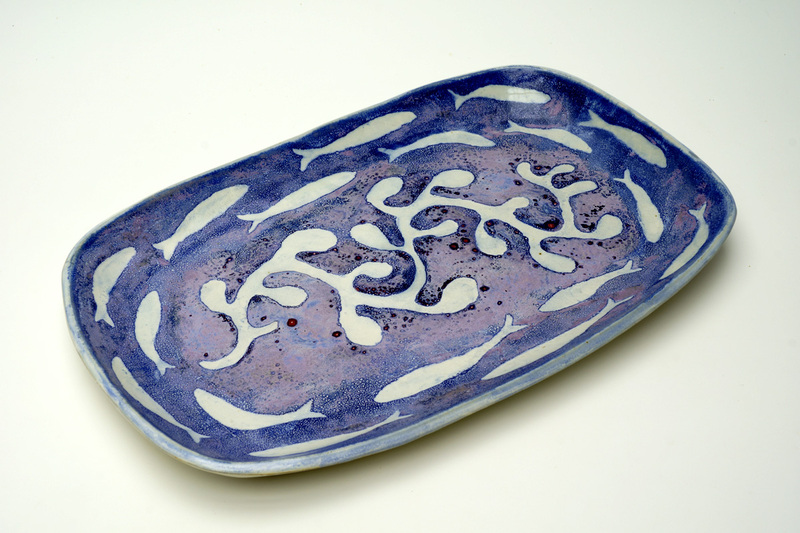 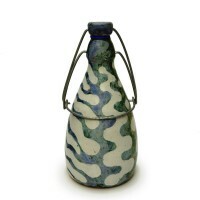 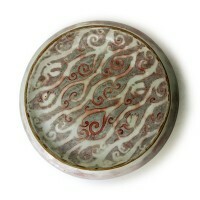 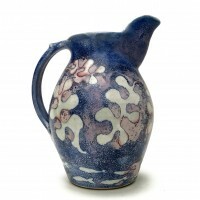 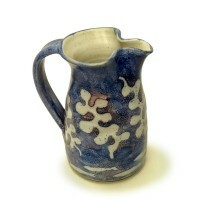 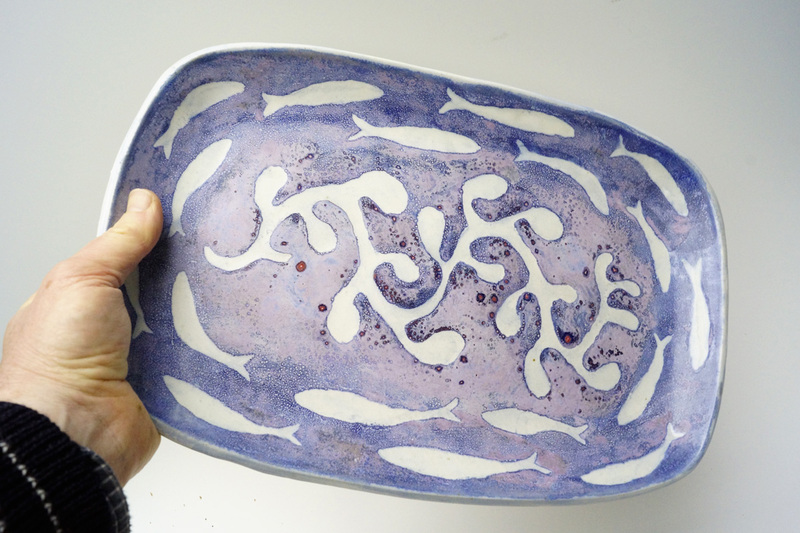 A hand made stoneware serving dish with blue and white glaze inside, plain white outside. 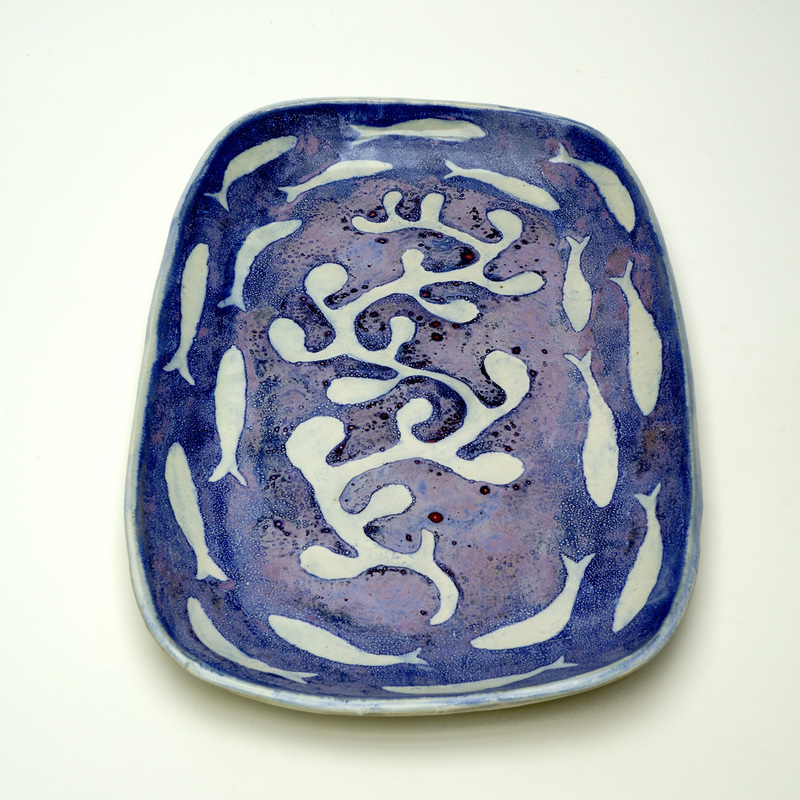 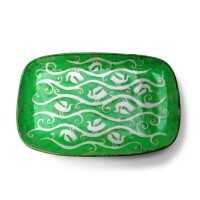 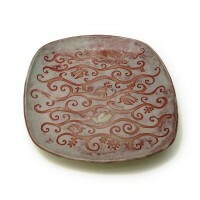 The dish is decorated with white seaweed motif and fishes. 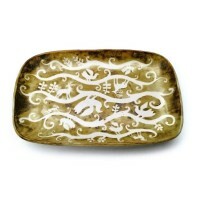 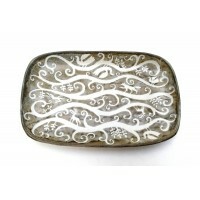 This dish is suitable for serving food of all sorts. 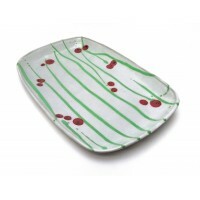 As it is oven safe it makes excellent oven to table ware. 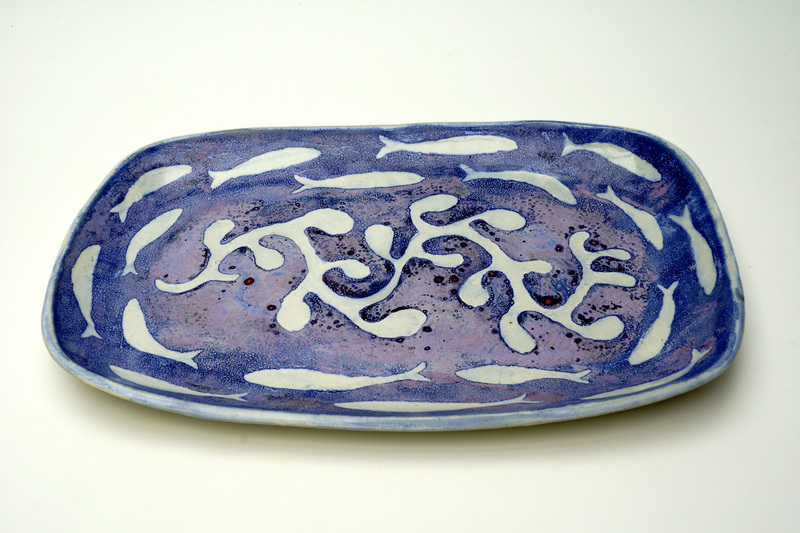 Size: Length 14 inches, Width 9.5 inches, Height 1 inches.